1) 25 km & 12 km - You will get T-shirt, cycle and helmet on rent, BiB with timing chip, completion medal and an online completion certificate. 2) 4 km - You will get a T-shirt, completion medal, BiB number and online completion certificate. 3) Stationary Gym Exercise Cycle - Cycle facility, refreshment and a fun & energy filled atmosphere to cycle under the sun! 4) Zumba - Professional trainer, refreshment and an energy filled atmosphere. A part of the ticket price will go towards education of tribal kids through TYCIA Foundation. 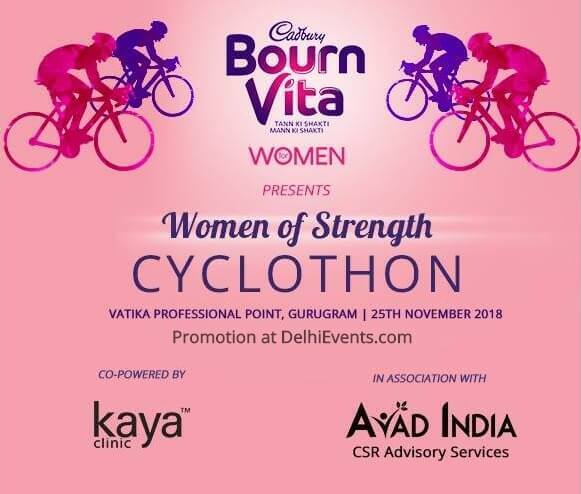 Come and cycle to spread the message of women empowerment and health and also win exciting prizes. Cycling is open for Women, Men and Children. Competitive racing is only for Women in 25km or 12km categories.